Oh, you so BET I'm going to take that quote completely out of context! Because I wouldn't be a good bloggy friend if I didn't remind you of particular titles this giving season. Oh yes. You may have resisted me so far. You may have closed down your web browsers, deleted e-mails, skimmed past me in your Google Reader, ignored me as a Follower but . . . ! I keep. coming. back. Important things to add onto the shopping list. OK? I'll keep this brief and simple. I mean, do I really need to say it again? Oh, but I will! I must! Christmas is the perfect chance to rectify the situation if you haven't yet read the book. Here is my review of The Strictest School in the World series. It's simple, really. Clean, good fun that the whole family can grown on and grow up with? THE WHOLE FAMILY, I TELL YOU! Ok, the non-paid advertising is now over with. *sniff* But I'm just saying (imagine me being hauled away by the collar, yelling out extremely important declarations that directly relate to your family's ability to survive and be amused....) - consider. Carefully. Weigh your options. At the very least, you can't say I didn't warn you of what you would be missing, advise you against making a gigantic mistake by walking away, and basically annoy you to death by forever harping on these two book series. Now, think of me kindly because I'm only interested in your best reading interests. Always, always. Go forth. Add to shopping carts wisely and well and enjoy those beautiful roses in December that come in the form of children with smarts and wit, and occasional life lessons attached. Unless otherwise specifically stated, the information contained herein is made available to the public by Amazon.com, Kids Can Press and comparatively Little, Brown Books for Young Readers, Office of Information Services at Reading to Know, and Project Read Whatever Carrie Tells You To and may not reflect the realities of an actual reading for amusement purposes or projects, challenges, Nighstand Purchases, book fetishes or the like. The intent of Carrie's recommendation is to assist an individual, or families, who are creating memories with one another by reading artfully told stories. 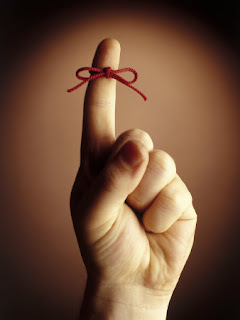 Neither KCP, Little Brown or Carrie's husband, Jonathan assumes any legal liability or responsibility for the accuracy, completeness, or usefulness of any information, product or process disclosed in this non-paid for (by anyone) blog post. Jonathan also declines any and all suggestion that he be responsible for funding the building of anyone else's home libraries. He is concerned enough with his own. Reference herein to any specific commercial product, process, service by trade name, trademark, manufacturer, or otherwise, does not constitute or imply its endorsement, recommendation, by anyone but Carrie (and she's suspect at times, but enthusiastic nonetheless!). I like your disclosure!! Very funny. Amanda still can't appreciate or get into Strictest School, but you know she loves Mysterious Benedict Society. Btw for any of your readers -- I have gotten the first two books at TJ MAxx in paperback for only 4.99 each. We got a couple of copies of the first one last year, and then just last weekend, they had both the first and the second, so I picked up the second (Amanda had read it, but didn't own it). I was thinking of getting MBS for my nephews (ages 11 and almost 10) for Christmas. I haven't seen the other series, so I don't know. 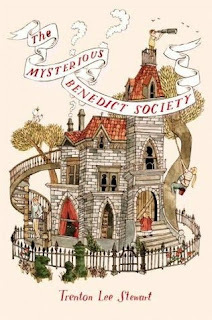 . .
Just finished up the 3rd Mysterious Benedict Society this weekend...such a treat! I bugged my mom about it again (she's an elementary school principal...I couldn't believe she hadn't heard of them!). I also bought the first book for my 8yo cousin...might still be a little old for her, but she'll soon grow into it. I'll be checking out the Strictest School in the World series, now! Amy - If you want to be really SAFE in gift giving to your nephews, go with MBS. 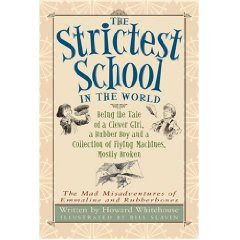 Strictest School is more zany and definitely appeals to those with dry humor and great wit. (I'm not saying anything about myself, naturally.) However, weelll...I don't know! There are very appealing aspects to boys in Strictest School. You've read MBS so you know it's very "safe." Ronnica - GO FORTH AND CONQUER! Alison - I did order The Blythes are Quoted (or, rather, Jonathan did it for me) and I was thinking last night that it was odd I hadnt received it yet. However! I have to remember to ask Jonathan about it because it's on his account. So annoyed with Amazon right now. They cancelled my order for the Blythes book!! If you can find it, let me know where! 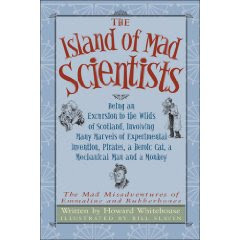 I adore the MBS books--I tell everyone I know about them and I'm always amazed that no one has heard of them! I read the first two out loud to my kids (ages 9 and 11) and bought the 3rd one to give for Christmas. My 9 yo daughter adores Constance.